Rose Bouquet. Dinner Plates x 2. Made in England by Royal Victoria. Blue & white floral design. 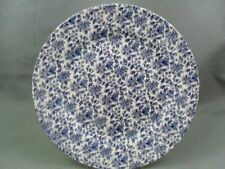 Great condition dinner plates, about 10" across. would poss do a deal on the whole collection. These 4 high-quality Dinner plates featurea large forward facing Skull design, with stylised flower pattern around the edge – were proudly made in Britain in the heart of the English Potteries. New release from the factory. Churchill Apple Blossom dinner plate. 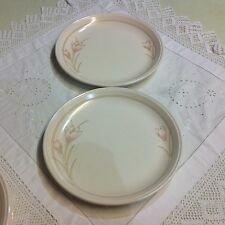 Churchill Vanity Fayre blue ribbon spots plates X 2. Both 24cms diameter. Two lovely Vanity Fayre 24cms/9 and a half inches dinner plates. Both good condition without any chips cracks or knocks. UK postage only sorry. Six (6) BARKER BROS "ROYAL TUDOR WARE" FRUIT DESIGN OVAL PLATES. Exc Cond. FOR THE PRICE LISTED, YOU WILL BE BUYING ALL SIX OF THESE LOVELY PLATES. 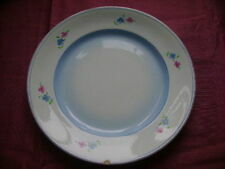 Biltons Trellis Rose pattern 2 x dinner plates in used but good condition utensil marks but plenty of life left. Measure approx 24.40cm wide. 2 lots available. 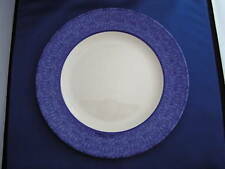 Churchill Bermuda Blue dinner plate. These 6 high-quality Dinner plates featurea large forward facing Skull design, with stylised lace pattern around the edge – were proudly made in Britain in the heart of the English Potteries. Pick up from us. 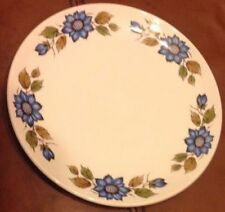 This dinner plate has been used and is in excellent condition This measures at 26cm This is perfect if you like having one off dinner plates or if you a plate missing or broken! I have more plates in my other items! These 4 high-quality Dinner plates featurea large sideways facing Skull design, wearing a crown. with a stylised flower pattern around the edge – were proudly made in Britain in the heart of the English Potteries. CHURCHILL"PORTS OF CALL- ZARAND." DINNER PLATE. I will be away from the 15th October until the 27th of October. These 4high-quality Dinner plates featurea large sideways facing Skull wearing a top hat on a plain background, with a stylised Floral pattern around the edge – were proudly made in Britain in the heart of the English Potteries. These 4 high-quality Dinner plates featurea large forward facing Skull design, with stylised lace pattern around the edge – were proudly made in Britain in the heart of the English Potteries. Prices are quoted in GBP and these are subject to fluctuation when converted to your currency. These 6 high-quality Dinner plates featurea large forward facing Skull design, with stylised flower pattern around the edge – were proudly made in Britain in the heart of the English Potteries. Sadly, we cannot combine our orders with those from other suppliers. 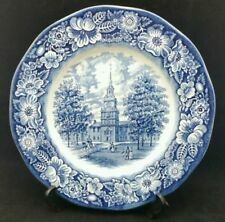 STAFFORDSHIRE IRONSTONE BLUE & WHITE -. 6 DINNER PLATES. and we have no history with them. Coaching Taverns Royal Tudor Ware Decorative dinner plate Staffordshire 10"